We have noticed some users seeing a message which says "Shoot! You used more energy than your forecast and lost points!" when they click into their upcoming #OhmHours which they have not yet participated in. Currently, we are seeing any negative points you get from this being restored. 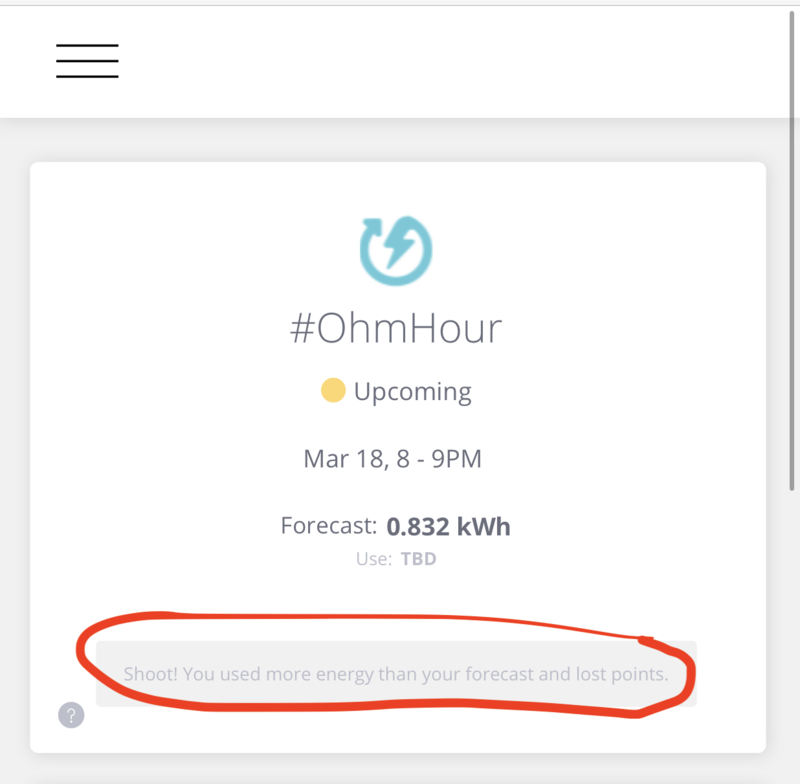 However, if you are seeing negative points on your upcoming #OhmHours before you even participate, please write into us at https://login.ohmconnect.com/help!